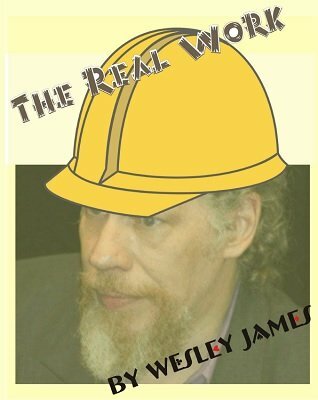 Many magic books come and go but when Wesley James releases a new book, serious students of magic pay attention. This is his first all new book since 2007 and it shows the same consideration for detail and exceptional technique he always delivers. In addition, it reveals new plots and insight into the thought he gives any new effect or routine he explores. Each investigation is important; any of them could change your magic forever. It should come as no surprise to those who have read Wesley's previous works that he examines card magic at a depth rarely found in any field, but less so in sleight-of-hand or magic. It will take time to extract all he has packed into these 200+ densely packed pages but it is, as the title states, the Real Work in more ways than one. While this new work may not be the type actively sought by the novice readers, like the current crop of "self working" material, it is a gold mine for those experienced in card technique now seeking to refine and perfect their performance. It is also excellent for the student in the early stages of development, as it can help them avoid the time consuming mistakes others have made. Rarely does a magic book offer so much sophisticated thought and analysis crammed between its covers. This is a book you will return to as you explore the array of subjects it addresses. It is a book you will continually turn to when looking for new plots to explore. It is also a book you'll turn to when seeking the finest analysis of technique. Further, it is a book you'll pull out when you want to know the history of some standard and not so standard effects, plots and sleights. Obviously, no book can discuss every area of card magic but those it covers are examined at a depth that, as the reviewer for the Linking Ring wrote of Wesley's The Complete Mojo , is a PhD course in magic. The Table of Contents below will give you some idea of the material covered and the breadth and scope of Wesley's The Real Work . 1st edition 2014, 212 pages with illustrations and photos.